For sale, spectacular floor !!! ... The apartment is very nice decorated and fully furnished, furniture design and quality included, in the living room there is a division with a half height wall, this covered with mosaic of decorative tile, in one part is the room with bar and in the other TV room , leather sofa. Take of TV and signal wiffi, in all the rooms. The interior paint are semi dark colors contrast with the white floors, which greatly personalizes the home in relaxing mode. It has a roof room of 6 m2, closed. It has an elevator. 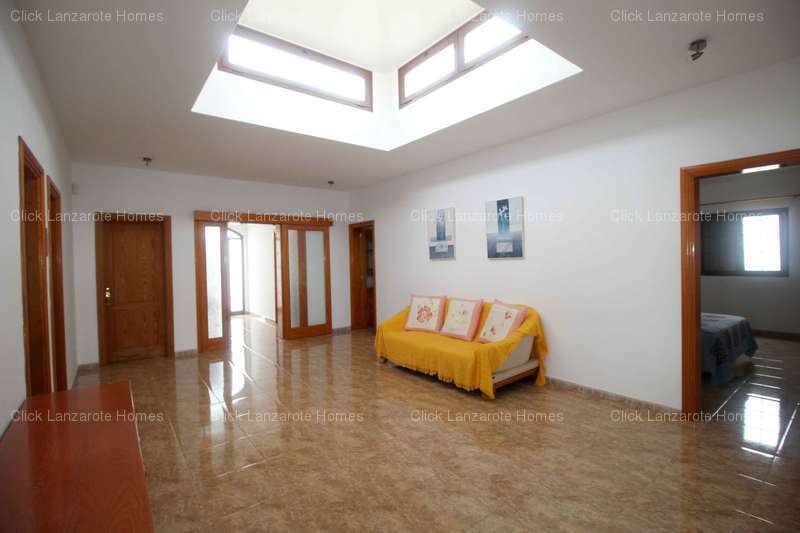 is located next to the sports center of Arrecife, swimming pools and school, very close Hospital. the new shopping center of Arrecife is 100 meters away, just cross the street. This will be an area with all the resources at your reach for social life. COZY APARTMENT IN PUERTO DEL CARMEN Nice apartment on the top floor in Puerto del Carmen, 1 bedroom with built-in wardrobe, 1 bathroom and living room-kitchen, all completely renovated. With communal pool, entrance with code and terrace. Better to see Ideal as an investment. 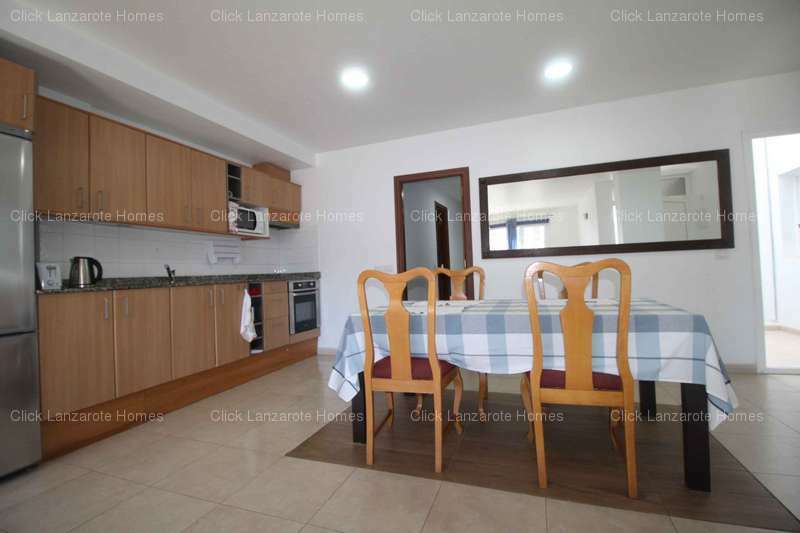 Beach 400 meters, sports courts tennis courts 100 meters, supermarket Lidel in the area. 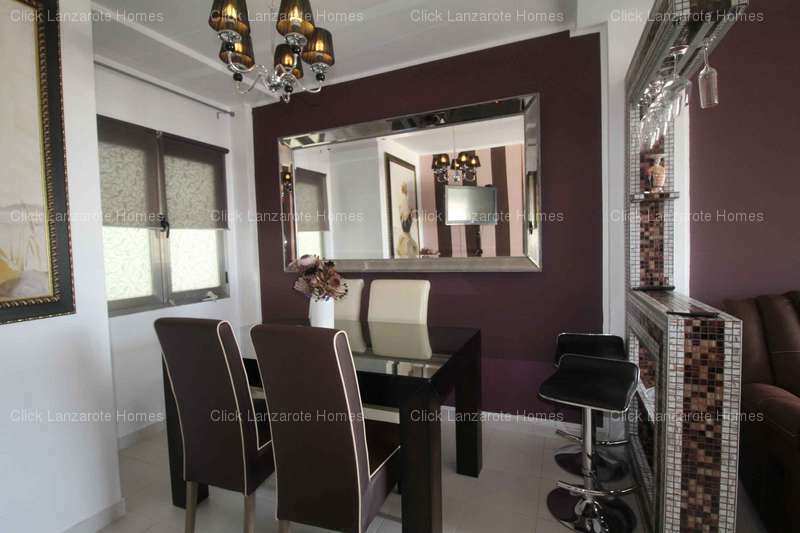 SUPER SALE HOUSE IN CONIL (lower part) EXTUPENDAS SEA AND MOUNTAIN Brand new ... Kitchen, The house was built, I end in November 2011 (new house construction) Architect Miguel Angel Armas Matallana Decorated by Maria del Mar (H design) Built with double walls (camera (and partitions are within 20 cm) The house facing south It has 5 bedrooms and 3 bathrooms, kitchen, office LIBRARY living room, The house 225 m2 on 2 levels Besides the large garage with 200 m2 of garage and 2 storage rooms. Details: The floors are large slabs of sandstone rustic elegant dark gray. Cabinets and interior doors are white lacquered wood. Double glazed windows and white aluminum. The look is minimalist and elegant interior, modern and bright cut. The main floor. It has nice entrance hall from which the zigzag-shaped staircase leading to the upper floor and garages, the kitchen and living izda washing machines currency. Salon coast main dining room and living room, this height to the top hole there is also an open fireplace. A beautiful kitchen with Italian design, complete with appliances. Along the corridor we will find with 3 bedrooms (Walk-in closet) and 2 bathrooms (1 large bathroom and the other 2 share a bathroom, it has a nice garden with glass terrarium) - Upstairs on the stairs is the library. With absolute great sides at 4 windows that are as natural qe surrounding landscape pictures, sea and mountain views. 2 bedrooms and a bathroom. Outside, a corridor balcony balustrade of white aluminum, all rooms give access to the At ground zero on the first floor and idem. Great jadin. 7x 3.5 pool (21 m2) Garage several cars. The entire estate has stone wall with a considerable height for privacy. HOUSE, VILLA, SPECTACULAR CHALET BUILT IN 2 PLOTS IN A HOUSE THIS AND OTHER occupies a beautiful garden. Plot 2140 m2 (2 plots were) Built 790 m2 The plot facing 2 streets. The whole house furnished with excellent taste and quality, drapes, plasters, air conditioning and central heating. Top floor. 4 bdrm. With integrated bathroom 1 tv Salon 1 room of star, with a view 1 kitchen with dining area. (Alabaster marble lamps) 1 verandah with rattan 1 shower plate. Centralized air in the whole house. 14000 frigocalorias inverter. Algibe 17 m3 Materials, marble bathrooms. Sapele doors, parquet flooring (cherry beech) and oak. all upstairs. Return pump hot water Wooden staircase xatoba and park oak and cherry, Downstairs Bedroom 2 with en-suite bathrooms with wood and tile corridor The cellar. The office, gym, (thermo vapor) spa. toilet, hall game hall. 3 cars garage luggage storage room.